Alexa, order an Echo Dot! Echo Dot can hear you from across the room, even while music is playing. When you want to use Echo Dot, just say the wake word "Alexa" and Dot responds instantly. If you have more than one Echo or Echo Dot, Alexa responds intelligently from the Echo you'. Controls lights, fans, switches, thermostats, garage doors, sprinklers, and more with compatible connected devices. Connects to speakers or headphones through Bluetooth or 3.5 mm stereo cable to play music. Alexa, the brain behind Echo Dot, is built in the cloud, so it is always getting smarter. The more you use Dot, the more it adapts to your speech patterns, vocabulary, and personal preferences. And because Echo Dot is always connected, updates are delivered automatically. With the free Alexa App on Fire OS, Android, iOS, and desktop browsers, you can easily setup and manage your Echo Dot. Size: 1.3" x 3.3" x 3.3" (32 mm x 84 mm x 84 mm). Weight: 5.7 oz. (163 grams). Wi-Fi Connectivity: Dual-band Wi-Fi supports 802.11 a/b/g/n (2.4 and 5 GHz) networks. Does not support connecting to ad-hoc (or peer-to-peer) Wi-Fi networks. 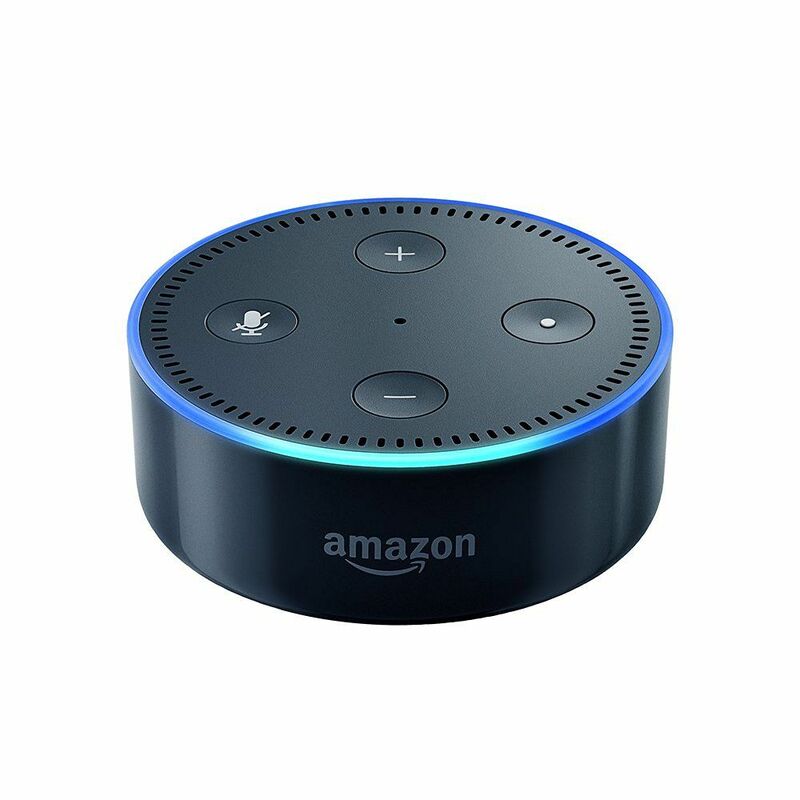 Echo Dot is a hands-free, voice-controlled device that uses Alexa to play music, control smart home devices, provide information, read the news, set alarms, and more.